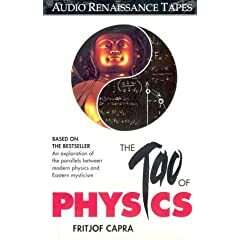 Many people think the Tao of Physics is hooey. The reason people don’t think it’s hooey is attributable to the observation that physics and spiritualism can be confounding and riddled with paradoxes. So if anything, there might be analogies, but not so much insight whereby one informs the other. Entropy is an interesting example in this context because you think, oh yeah, physics for all my crap. Entropy is quantifiable. How messy is my house? I’ll measure it. But, no one makes an entropy meter (that I know of). You can measure a change in entropy by measuring other quantities. Based upon the states of each atom of your mess being known, the German Physicist Boltzmann (a great thinker who went bonkers) created an explicit definition of entropy. This is great for the conscientious homeowner. Merely superimpose the states of the constituent atoms of your shtuff and multiply it by Boltzmann’s constant. You can do this every year as part of your spring cleaning. (Put the number on facebook! Compete with your Buddhist friends!) You could argue that the number is good only for an instant and then you have to start all over. At least you can say if your house has greater entropy this year than it did last year. Unsolicited advice: Bear in mind that it would be faster to debate the merits of Feng Shui with an opponent until he dies than to count all your atoms. If you don’t have time to clean, just keep your home at absolute zero (but this only sends the entropy to some factory in China). For the obsessive compulsive: reduce your belongings to a single hydrogen atom and keep it stored in a cool dry place. As with almost anything, it can be hooey or deep, depending on who’s spouting off. Compare our ideas about positive/negative charge, matter/antimatter, positron/electron with yin/yang, shiva/shakti, ha/tha …. I’m not saying that Eastern philosophy is scientifically “useful”. You can’t construct an experiment out of it. But I do think that those guys, without the aid of our tools and experiments, turned their gaze inward so perceptively that they intuited a lot of what we are now proving. That’s a very heavy boulder to carry round in your head. … and Richard was enlightened.